The Sunday schedule at Rockbrook takes on a more relaxed pace. We sleep in a little extra, come to breakfast still in our pajamas (often with an extra layer given our cool mornings), and enjoy a special treat of Krispy Kreme doughnuts. We assemble on the hill to raise our flag, walk silently out into the woods for a chapel ceremony (today focused on the theme of “friendship”), and then enjoy a big Sunday meal. Today Rick had baked chicken, roasted potatoes, and a broccoli casserole, with blackberries and fresh whipped cream for dessert. It was delicious and kept the girls coming back for more chicken and potatoes. Sundays are a chance for an all-camp surprise special event as well, and during rest hour many plans begin to unfold. And today was no exception because we had “Pioneer Day,” a multi-station event of exhibitions, costumes, games, crafts, rides, activities, food and music. 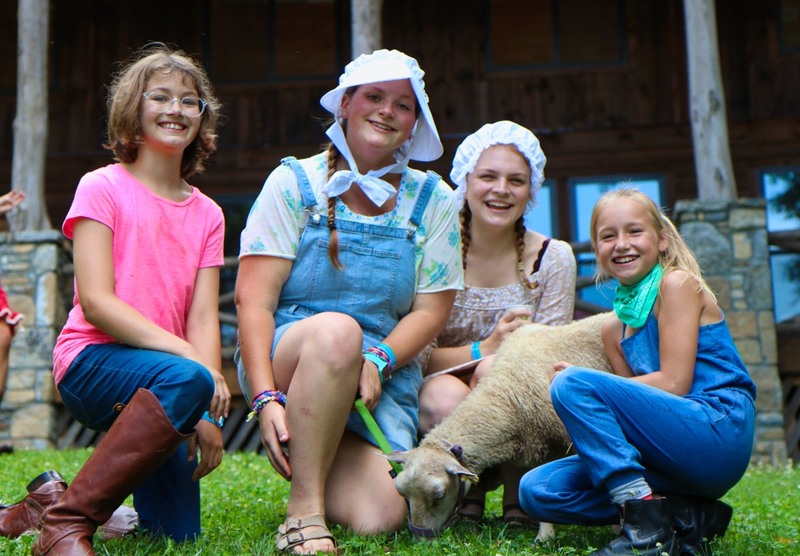 First the girls took this event as a chance to dress up, to don their bonnets, their simple dresses, boots, flannel shirts, overalls and bandanas. 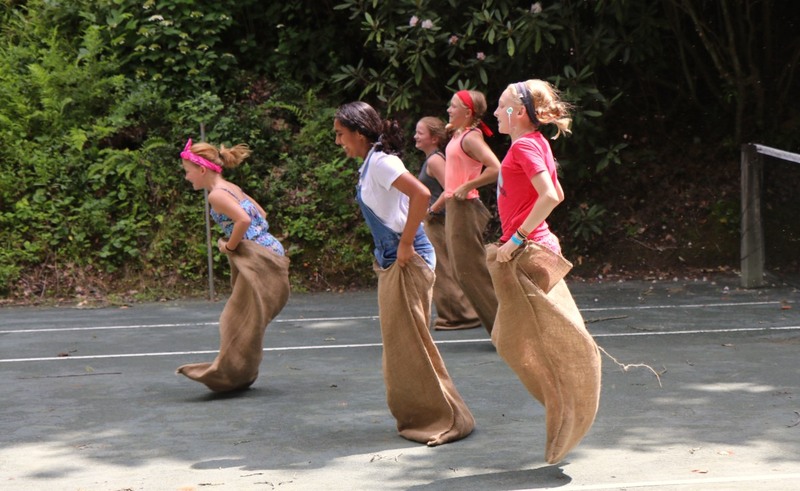 Dressed and ready, groups of girls bopped along the tennis courts for sack race relays. They tested their skill tossing horseshoes, and had a grand time wrapping dozens of colorful ribbons to make a maypole. One of the activities was making butter. Using real heavy cream and salt, the girls churned the cream in mason jars by shaking them for several minutes (about 10, I’d guess). When the butter started to clump and separate from the liquid (the buttermilk), the girls could`remove the butter, squeeze out any excess liquid and then eat the butter on a small homemade biscuit that the kitchen had baked for us earlier. Another exciting and unusual activity was interacting with several live sheep and learning about wool sheering, carding and spinning. 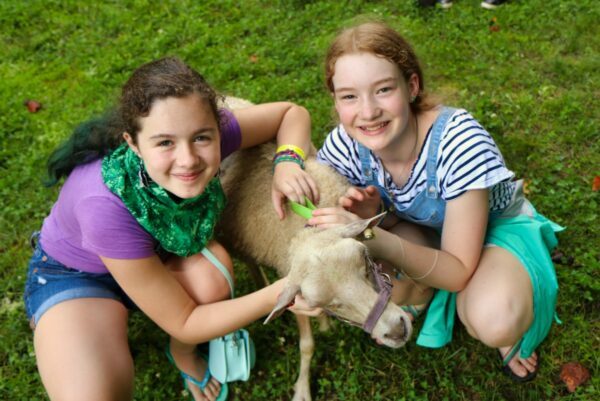 The campers loved petting the sheep and feeding them, laughing at their bleating. There was a hay ride too! With our red tractor pulling, the girls could ride on a trailer loaded with bales of hay. The staff members had decorated the trailer and fashioned a few seats for the riders. Each round trip lasted about 10 minutes. 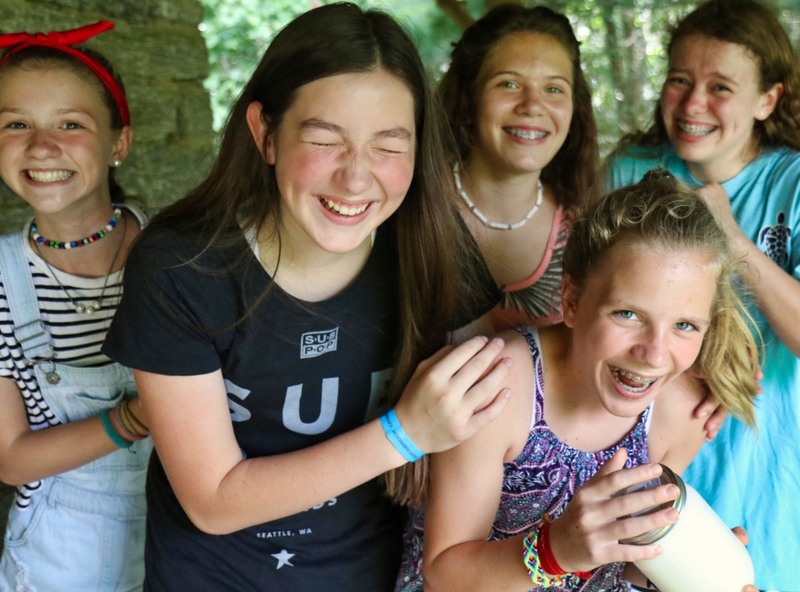 In the hillside lodge, two counselors used hot wax to show the girls how to dip candles. They had enough red and blue wax for everyone to make their own thin candle… many dips slowly building up. In the Goodwill cabin, two other counselors provided quill feathers and special tips so the campers could try writing with ink on paper. Over the whole afternoon, the old time traditional music of the Crooked Pine Band kept everyone entertained. 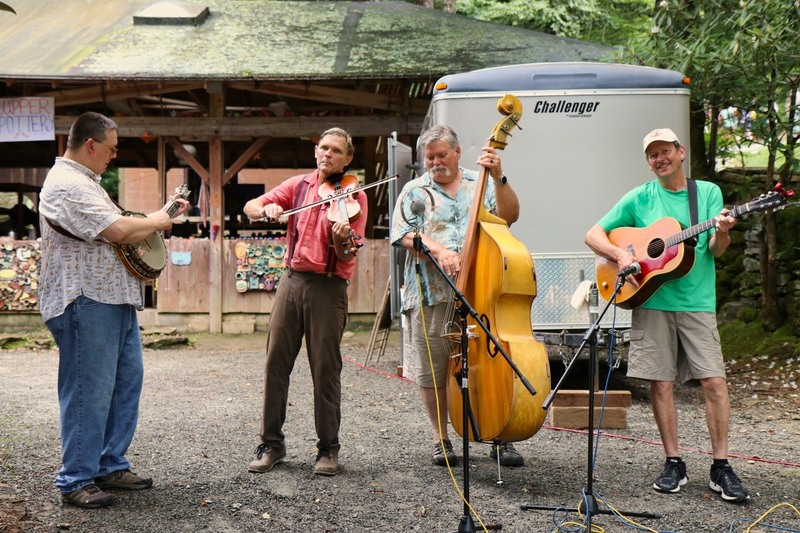 The band’s hometown is Brevard, so they are well known and popular around here, playing contra dances and concerts throughout the year. The girls had a great time dancing to the fiddle, guitar, banjo and upright bass, and later taking turns playing along on the washboard. With fresh apple cobbler as a snack and lemonade to quench our thirst, we kept the event charged up all afternoon… true mountain fun in the mountains.